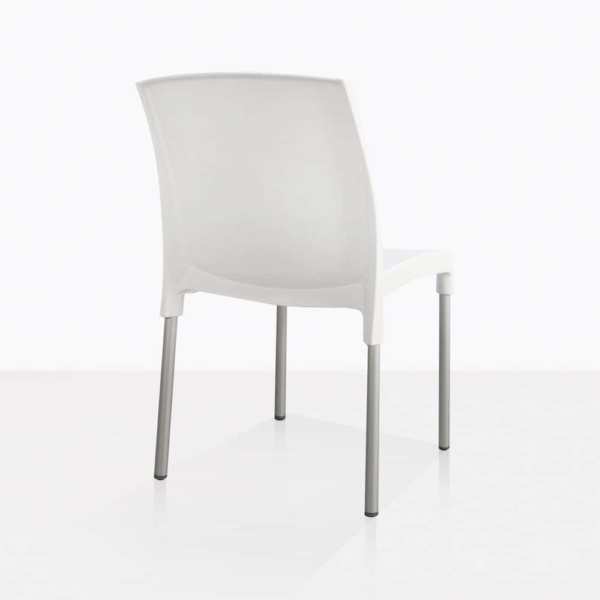 This simple, yet chic café dining chair in white is a great choice for many outdoor dining spaces. Use the Juli Café Dining Chair for smaller dining sets on your balcony, or create a grand setting with a long sleek table and 12 chairs. 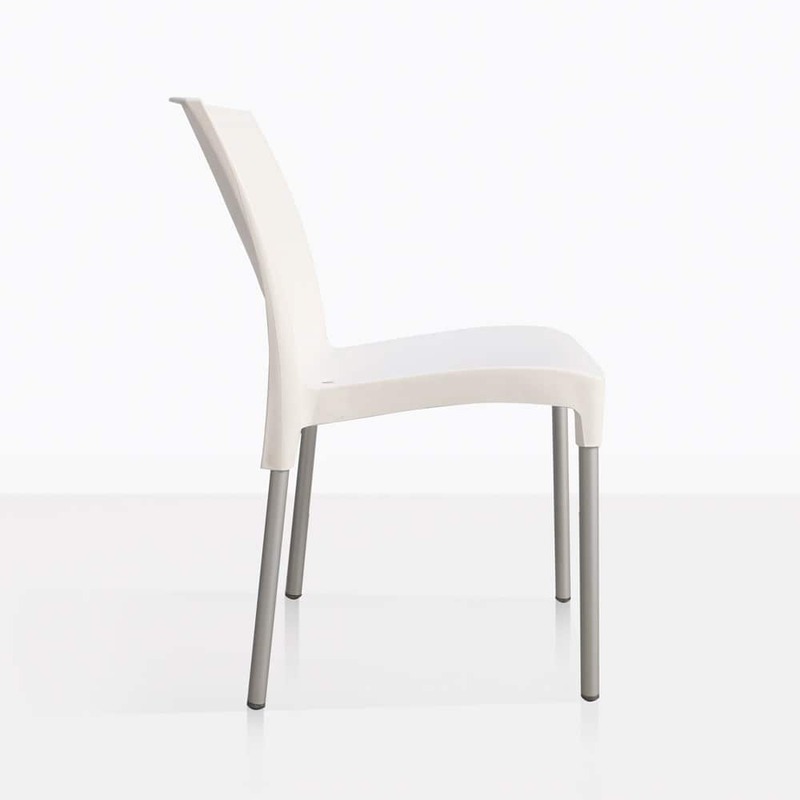 The Juli Café Dining Chair has a clean look and subtle curves that add a witty vibe. It is lightweight and made with materials that make it durable, and easy to clean. 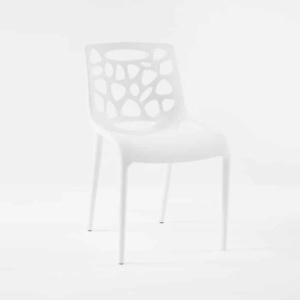 The seat frame is made with a polypropylene resin and aluminum legs. The Juli Café Dining Chair will look fantastic around many of our outdoor dining tables including Raw Concrete and A-Grade Teak. 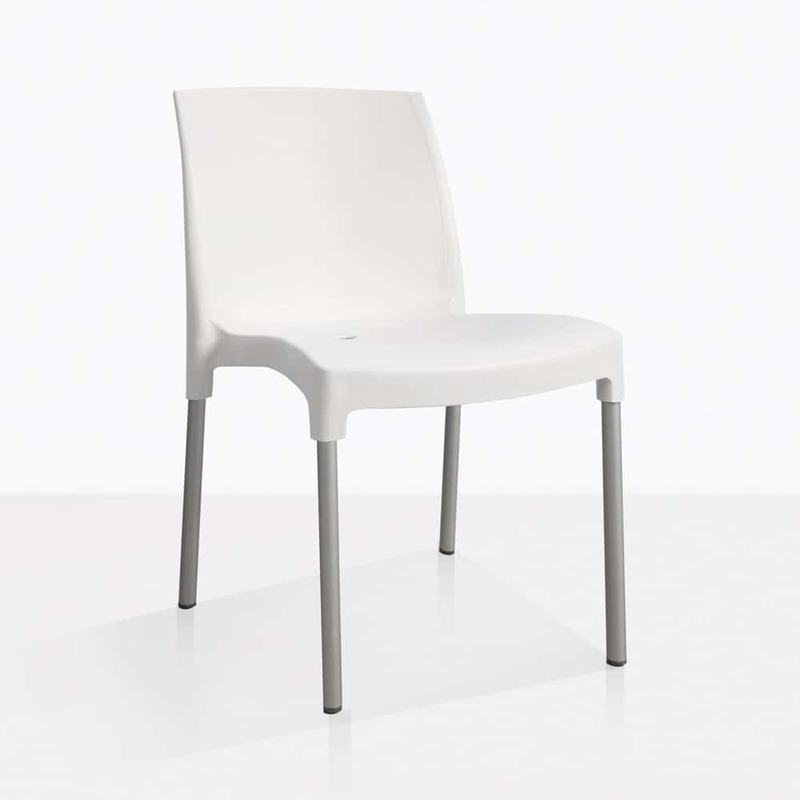 The Juli Café Dining Chair is also available in black with grey aluminum legs. Call us today if you have any questions regarding this café chair or about any of our outdoor dining furniture. 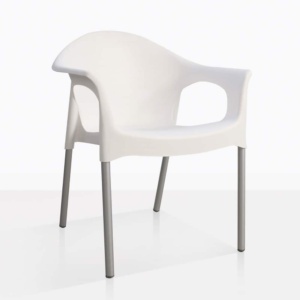 Design Warehouse is proud to carry a stunning collection of polypropylene-resin and polycarbonate Plastic Outdoor Furniture pieces. 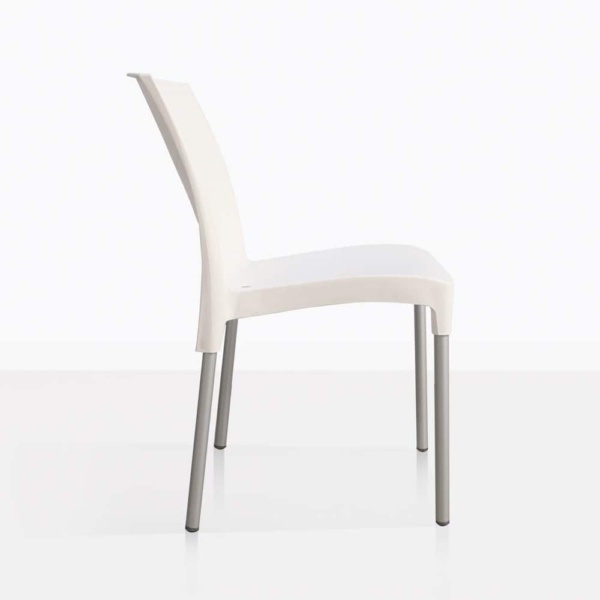 Many of these are dining chairs and are styled for visual impact and comfortable seating. Our polypropylene chairs include UV inhibitors making them suitable for full time outdoor usage. 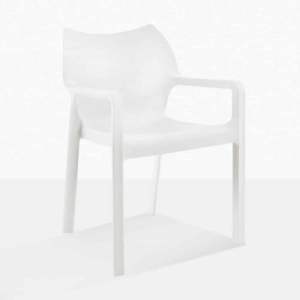 We offer high-quality plastic and resin furniture made to handle outdoor environments. Whether it is our Polycarbonate or our Polypropylene range, we are proud of the quality of our Plastic furniture. To maintain the great looks and functionality of these pieces and for specific care instructions for Polycarbonate and Polypropylene, click through the following link.